This site contains all of Niccolò Machiavelli's writings and updated commentary (see thoughts for today) on his work. It explains who Machiavelli was and what the term Machiavellian has come to mean. It contains summary of the and analyses of most of Machiavelli's major writings. Click here to see modern applications of Machiavellian principles to Modern living. Machiavelli as an individual was not "Machiavellian." In fact, Niccolò Machiavelli was not at all bellicose or gratuitously cruel. He was erudite, analytical and even wrote comedies. However, Machiavelli observed that brutality, cruelty, and duplicity were necessary for a leader to maintain power. His essay "The Prince" was a tract written for the Florentine ruling family de Medici to help him obtain work. 3) Biographies of Machiavelli and his contemporaries. 4) Analyses of his writings and renaissance history. Note: some these outlines are several hundred pages long, allow a few moments to load. They contain all things Machiavelli's summaries of his writing, summary of the prince, the history of Machiavelli's time. A detailed and comprehensive summary, outline and commentary of The Prince and the history in which Machiavelli wrote it. 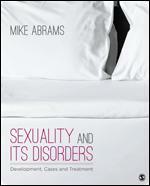 Courtesy of Michael S. Abrams, Ph.D.